At the age of six weeks, she was barely more than a handful. 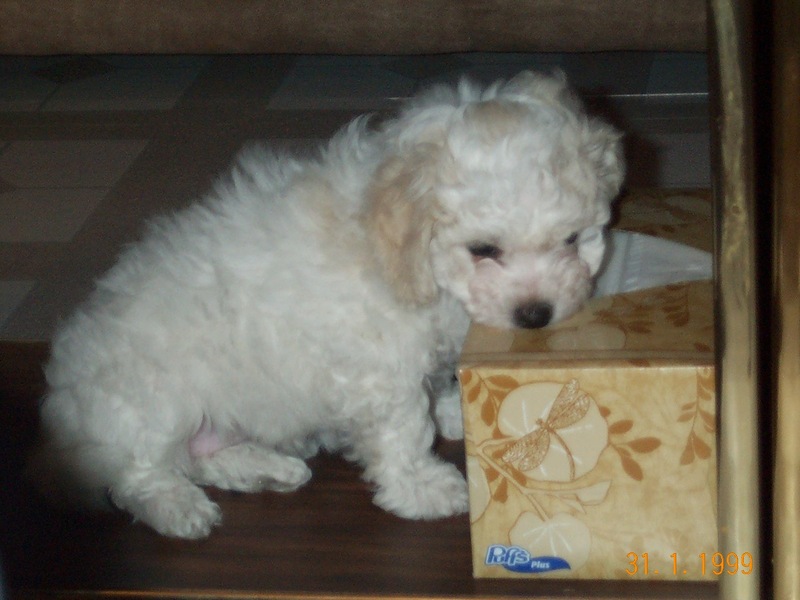 Here’s a photo of her beside a tissue box–that kind of puts her size into perspective! We found out, soon enough, that Cookie had a real love for tissues (and still does). 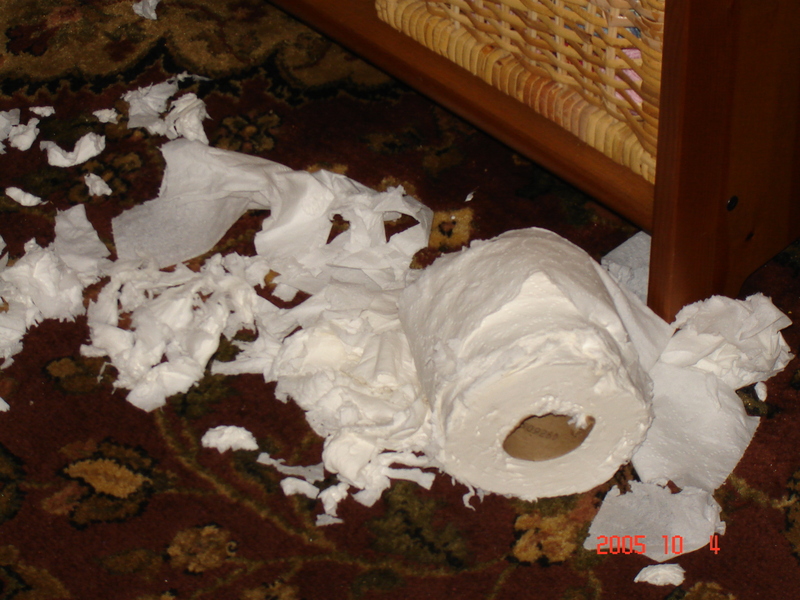 Have a look at the next photo to see tissue trouble!